With the holidays here, everyone takes a moment to reflect. As we set up the tree and decorations, it is a great time to see what has changed and what has remained the same. In particular, the annual family holiday picture can show how much the kids have grown and changed in a year. Why not update those family portraits with a new photo canvas from Canvas People. Canvas People turn your favorite photos into personalized canvas art. 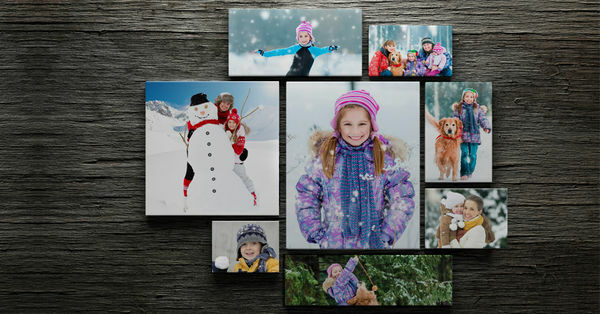 From a collection of 5 x 7 canvases to a larger wall size single piece, your family can update those walls quickly and easily. Disclosure: The writer may receive a canvas from the company for her own personal use. All opinions are her own. Amazing deal which you have shared here about the Canvas Prints. I am impressed with your work which you have done in this article and I would like to thanks for sharing this post here.